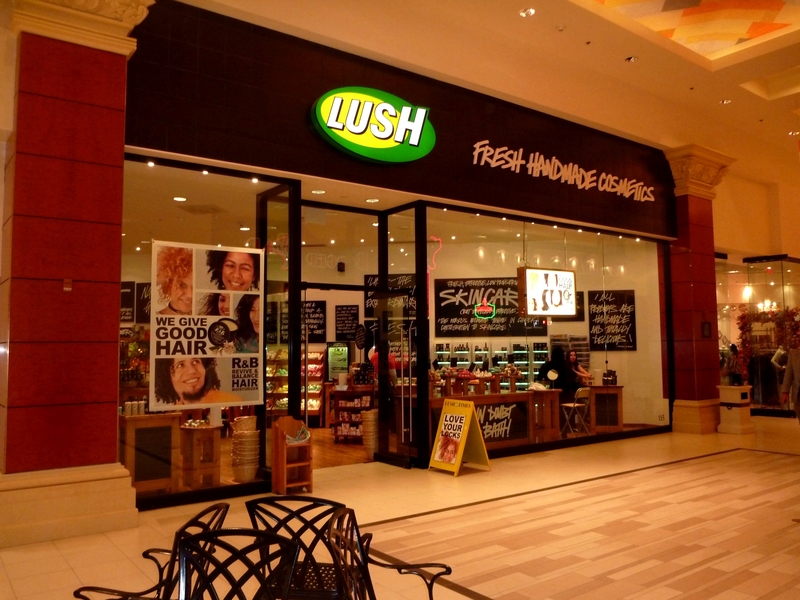 Lush is a well known store commonly found in malls all around the world. It’s that type of store that you can easily catch a strong mixture of different scents as you walk by. Lush is mostly known to be against animal testing & provide products that are freshly hand made and mostly organic products such as soaps, lotions, creams, shampoos, etc. One of their best selling products that led me into the store was their famous “Dream “ line, meant for eczema or those with irritated troubled skin. 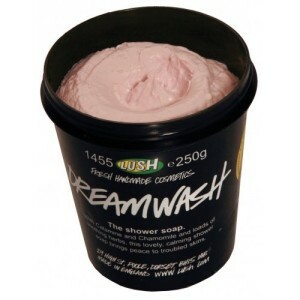 It includes the Dream wash & Dream Cream, that is suppose to help soothe troubled skin. First of all, I don’t understand why it’s named the “dream cream” when it is described as a “lotion” in their description. It is a bit runny like a lotion which is more accurate. There is a difference in terms of water (or aqua), oil & base (shea/cocoa butter) ratio. In addition, a lotion and a cream provide different thickness & levels of moisture in the skin. A “DREAM LOTION” probably wouldn’t sound as catchy though and it doesn’t rhyme. Second, Lush described to help suffering bodies, sore skin, irritated blotched skin & reduce redness with the help of oats to calm skin & calming essentials oils such as rose & lavender oils for irritated skin. It sounds great at first but its description is a bit vague, don’t you think? It could be used for acne or many other types of skin condition maybe?… which makes it difficult for a product alone to be a cure-all. Thirdly, it may appear real pricey for 240g, fairly smaller than a regular bottle of lotion. It is partially organic after all, and most organic stuff will be real pricey. But is it worth it? To some it might if it works well for you. I personally use a lot of moisturizer since I am very active & enjoy taking my showers twice/day sometimes to wash off the sweat & dirt just like any regular person. At 240g, it doesn’t really go a long way no matter how good it is especially if you have a total body problem, rather than a little patch. If I may add a fourth component, the sales person which happens to be a young girl still had the eczema patch inside her elbows. Perhaps it provide just a relief for her not simply a cure. What I did find to be very useful with the Dream Cream few years back, is how it seemed to healed and helped calm one of my most persistent patches of scaly, irritated, red spots that constantly weep for over a year when nothing else worked that time. I find it works best for wet eczema(which is considered to be the worst stage of all) . However for other stages of atopic dermatitis below or less severe than wet eczema, it doesn’t seem to have the same effect. I am unsure whether if it made some spots worse or nothing at all, because I was in the most severe condition for eczema. I agree with some users that it nearly provided the same level of moisture as most brands at a fraction of a price. If any of you have read my past experiences with many brands, most of them on the market don’t satisfy my skin’s thirst for moisture. Therefore, I didn’t find the Dream cream very moisturizing at all, especially a product meant for eczema and dry irritated skin. 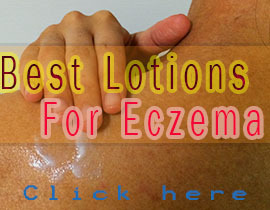 For some eczema sufferers, they found it soothing and would continue to buy this product. One liked the fact that it does not leave oil stains in bed-sheets. But others found it bit oily (as it ifs laying on top of skin which suggest it may not penetrate through our thick scaly skin). For me, I just didn’t feel the quick absorption once applied, so it might suggest that it may take time to sink in, or if I needed to reapply more or perhaps it is not moisturizing enough. A good moisturizer should plump your skin (not give you the tight feeling). BOTTOM LINE: Unfortunately it wasn’t much of dream cream for me, but to some it has provided a miracle. 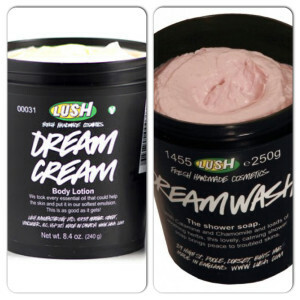 The “Dream” line is one of Lush’s top ratings, so if you decide to try it out… ask for a sample . They will give it to you with no problem. Plus it will save you money & give you time to decide whether it’s worth it or not. I actually bought the package which wasn’t the smartest idea. Keep in mind that it does contain parabens. To those who are very paraben-sensitive, this may not be the best product. As from my earlier article on parabens, there is a very low percentage of us who are sensitive to parabens which can result in an re-occurrence of atopic dermatitis at time of contact. As for the DreamWash, one of their shower smoothies, I honestly have to say it didn’t give me the same satisfaction for my eczema similarly to its complement (Dream Cream). I did not find it soothing as many others have claimed. To me, it sufficiently washed my skin like any other soap and I loved the creamy feel of it. But I think my skin must have been too tough for it to have any healing effect. Again, there are many mixed reviews that are worth looking into. There were other lush products that I found to be very effective & worthy for my skin, but that will be in another article. I’ve been using Dream cream on the dishydriotic eczema on my hands, and it’s worked far better than anything else I’ve tried. My fingertips were soft and supple for the first time in 20 years….. It was the first time my husband knew me with soft hands! With the weather getting colder, I have noticed in the last week that I’m starting to again dry out, so I use a thicker cream over it to provide a moisture barrier (I use my second go-to, Gold Bond healing lotion) and wear gloves every time I go out, and I’ve had pretty good success. I’ve put the cream into a squeeze bottle to apply it on the go, as it comes in a jar. I’ve tried steroid ointments and all kinds of lotions (Norwegian formula, bag balm, aquaphor, emulsion, eucerin, cortisone 10) and this has worked quicker and better than others. I’m glad to hear it worked on your dishydriotic eczema where is commonly found on hands & feet. So I can understand how it’s worth it if the hands are a real concern to you. I used to get bunch of blister-like vesicles (eczema bubbles) on my fingers and toes quite often when I was under a lot of stress and during time of depression. Since I’ve been through light therapy for couple years I slightly get them on my knuckles now. I am still looking for a perfect hand cream as my skin is getting drier during harsh wintery weather too. I ought to look into the gold bond thanks! Companies can sometimes change the formula within their products which could explain of its inconsistent effectiveness of your hands if I understood your last 2 sentences. .. so why is it that you don’t use it religiously? It seems like it worked when you had used it. The dream cream was bit runny when I tried it & I had read reviews that complained that it used to be thicker like a cream. I am not sure of their current ingredients now but it sure has stopped my wet eczema from oozing like crazy. However it did not completely healed my wet eczema but stopping the ooze was the first step into healing that area. This is why I am a bit hesitant to recommend any brands.. it was the same with Avene Trixera emollient balm that helped me tremendously but since I’ve heard they changed their formula it wasn’t as effective as it used to be but still can relieve some of my itching. I never had any success with similar over-the-counter or store bought steroid creams in stopping the itching but no doubt it speeds up the healing compared to anything else. If the cortisone 10 is working for you, I suggest using as directed because using too much can causing skin thinning. There are controversial studies that prove that steroid creams do not cause skin thinning as long as you follow doctor’s directions and not going overboard. I would personally ask my dermatologist if this product is ok for the skin. They would be able to tell you whether the stuff is too strong or not. I would assume it’s not as strong as prednisone (a real high dose of steroid in form of a pill). My problem mostly lies on the facial area & neck, mostly the chin & bottom cheeks. The eczema bubbles appear every time I’m working in a fast pace environment which can be stressful. I often use my apple cider vinegar toner on itchy areas to calm it down (after washing the affected areas with cold water) followed by a moisturizer and it usually works for me. I do the same on my knuckles. With the Dream Wash/Cream do you use it when you flare up or everyday? My daughter has eczema all over her body – mainly on her back, stomach and in her arm/leg folds. I used the free sample I got the other day and saw an immediate discoloration of the inflamed areas. Just unsure if it is an everyday usage or occasionally. Thanks!!! I did mostly use it when I had a flare up in the past and I stopped using it years ago because it didn’t work well for me unfortunately. It is hard to keep up with brand creams because it is common for companies to change their ingredients. So I did decide to give Dream wash another shot with a recent sample from them and its true, you would feel a little immediate cool off from the calamine which could explain in reducing the inflammation. I did find it works best on my hands, however the itch still remains but is mostly reduced. It’s best when I spray it with my apple cider vinegar toner afterwards. For this reason, I didn’t use it as a everyday thing. Its ok to use everyday as long as your daughter can tolerate it. I find the Dream Wash was a bit drying but it is good for calming down wet eczema or any parts that are constantly oozing (with transparent fluid) that is usually associated with eczema. I recommend her trying Dove soap (hypoallergenic type) or any unscented soap with no SLS because it will not cause any further skin irritations. 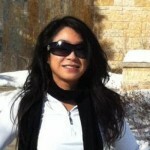 Dove was the best in moisturizing my skin after washing. Haven’t tried their recent Dream Cream yet. Hope this answers your question. BTW I’m not sure what you mean by discoloration of the inflamed areas. I’m hoping you meant the inflamed area got better.